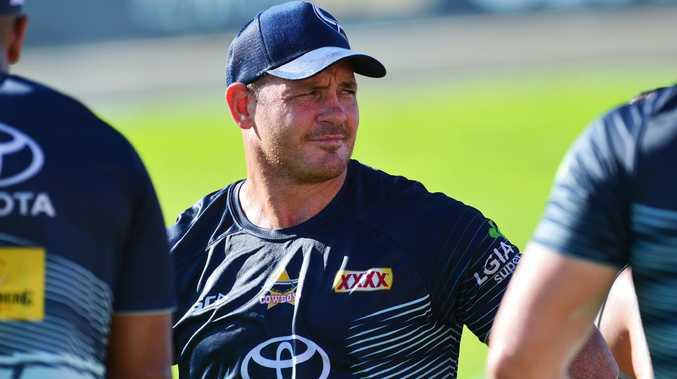 AFTER an injury-interrupted 2018 NRL season, North Queensland Cowboys assistant coach David Fairleigh says Matt Scott is in good physical and mental shape for the club's latest premiership campaign. 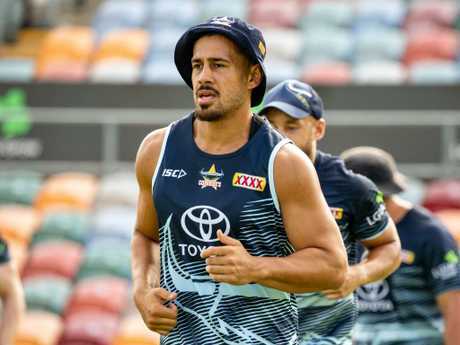 Scott will line-up for the Cowboys in their first trial game against the Gold Coast Titans on the Sunshine Coast on Saturday.. It will be his first game back since surgery on his neck last year. Farleigh said he did not expect Scott to get a lot of minutes. "But I think for him it's important that he'll get some confidence," he said. "His neck is fine. The last couple of weeks the intensity of his training has gone through the roof. "It's a testament to him that he wants to play in this game. He's very important to us and I'm sure he'll get through it unscathed." Farleigh said he was confident the front-rower could get back to the player he was. "He's obviously not as young as he used to be but mentally and physically he's in good shape," Farleigh said. "He's a winner, he wants to achieve, so I think all of those things and the type of personality he is, it will make him have a good year. "He's just one of those guys. He doesn't like not giving his best and you always know with Matt that whatever he does he gives his best and if he does that we're happy." The Cowboys newest recruit Jordan Kahu is not in the squad after he played last weekend for the New Zealand Maori team in the All Stars game. Farleigh said with Kahu having only two training sessions with the team and playing last weekend it was a good opportunity for other players to have a crack at the full back position. Carlin Anderson, who is yet to make his NRL debut, will start in the No.1 spot on Saturday. Jordan Kahu will sit this game out. "I think it was an opportunity to give Carlin Anderson, a guy who has had the entire pre-season and trained nearly every session, an opportunity to have a look at him at fullback and maybe have a look at Gideon (Gela-Mosby) at fullback," he said. "We know what Jordan Kahu can do, he's a quality player … and we're very lucky to get him, so the reason he wouldn't be playing is so we can give some young guys a go and have a look and see how they'll perform." 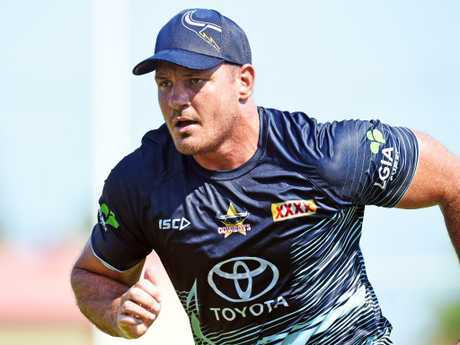 With a potential cyclone hitting the southeast Queensland coast, the Cowboys could be in for some wet weather rugby league. It will be a bit of dampener after the team has been training for a large part of this year at home in wet weather. "It would be very, very nice to have a dry game. As I said we did spend a good couple of weeks training in pretty bad conditions up here," Farleigh said. "It's only been the last week that we've been able to manage to get back on a dry field."